Acclaimed Los Angeles Composer David S. Hamilton's cutting edge orchestrations are featured in several motion pictures, television shows, musicals, and national ad campaigns. He received his Bachelor of Music in Composition for Film and Television with highest honors from Northwestern University and his Master of Music in Film Scoring from New York University. 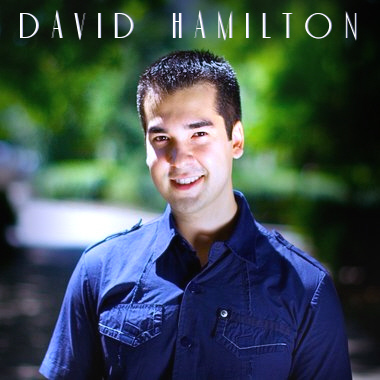 David was a Webby Award Nominee, and his music has been featured on HBO, NBC shows and on Hulu. Recent credits for David include The Other Side of Tomorrow (Dir Joseph Pernice, 2010), Luke 11:17 (Dir Matt Walerstein, 2009). Warm vibrant celebratory orchestral Christmas and Holiday music. Tender, a little mysterious & playful. Waiting for Santa's visit, families & kids shopping, wrapping presents, filling stockings, baking turkey & dressing. Hiding toys dolls & tricycles under the Christmas tree. Mistletoe yule tide, Instrumental, Christmas, Xmas Orch. Excerpt from Tchaikovsky's Romeo and Juliet Overture, full orchestra. This sweeping and lush excerpt begins with the very famous romantic climax used in many advertisements, presentations, comedies, and dramas. A beautiful, versatile track that has many uses. Instrumental, Christmas, Xmas Orch.